As a father, I feel a deep responsibility to provide for my family. 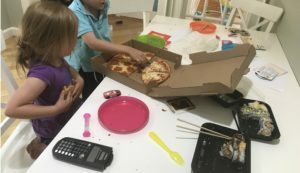 My wife and I have four kids, and they depend on me. I can’t just decide to lay on the couch or watch TV all day — they need me to hunt, to be a warrior, to bring elk meat back to the family. It reminds me of a guest speaker at school in my fifth grade class. Bruce Smith, Native American and husband of my first grade teacher, gave us a talk about what it was like to hunt in a Native American tribe. 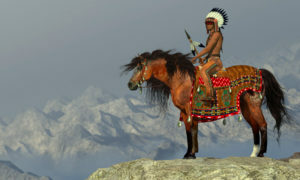 A group of hunters, mostly men, would hunt the elk together, and one hunter might make a sacrifice for the group, the ultimate sacrifice of his life, to kill the elk for the tribe. And when the tribe cooks the elk meat and has a feast, they would be chanting “Bruce killed the elk, Bruce killed the elk, …” Bruce’s contribution to the tribe would transcend himself and feed his people. Modern hunting is a bit less… primal. For my life, it means writing economic reports. Consulting with clients. Wearing a suit. Traveling to give expert testimony. The archetypal Modern Day Road Warrior. So here I am in California, away from my family for the whole week. I’m a bit lonely, a bit sad about not being with them. At the same time, I’m out hunting elk for the family. I’m bringing home dinner for the tribe. I’m making money, hunting in the modern day workforce, feeling strong, feeling like the warrior I was built to be. Today I’m trading time for money, tomorrow I’ll trade money for time. I’ll pursue work-life balance averaged over time, even if this week feels more about work and less about life. When I was a kid, my Dad went away for 6 months to the First Gulf War in Saudi Arabia. There, he truly was a warrior, representing the American tribe. We missed him, but I was proud of him. The role of provider is such a deep human instinct for parents, and men in particular. I’m looking forward to bringing back a truck full of elk meat for the family (or maybe some California t-shirts) — and giving my kids the biggest hugs ever after being away. 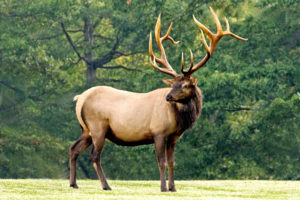 Readers: Do you ever feel like you’re hunting the proverbial elk for your tribe? What does your modern day look like? I also think a lot about serving customers, and providing value for them. Fortunately the modern road warrior is much more about providing value to others – making the pie bigger for everyone, rather than just taking home pieces of the pie to our tribes.